One of the most prominent features in Galaxy Note, Galaxy Note 2, Galaxy Note 10.1, Galaxy Note 8.0, Galaxy Note 3 and Galaxy Note 10.1 2014 edition, is S Note. Most Note owners have enjoyed this feature since Note 1. Although S Note has got significant improvements in last 2 years, the documentation is still inadequate. A lot of Note users are confused on some functions in S Note and their usage. Some owners are not aware of some cool features in S Note. So, as the only dedicated community for Note owners (Galaxy Note, Note 2, Note 10.1, Note 8.0, Note 3…), we decided to prepare some guide and tutorials for all Note owners. This live page lists some S Note guide and S Note Tutorials prepared by us. We welcome you feedback on creating more tutorials and guide. 5. How to install S Note idea sketch and easy chart on Galaxy Note 4? (on Galaxy Note 4, idea sketch and easy chart are NOT pre-installed for S Note. This guides shows you how to install them and download idea sketches). 1 & 1/2 months later I bought the Note 8 (couldn’t wait for the Note 10 which I really wanted). Most of my S-notes (some saved to SD Card) i thought would xfer to the new Note 8 but i didn’t know the 8 didn’t automatically come with same S-Note that i previously had (I thought it did with my Note 2 though, I’ve slept since then). Which S-Note app (icon) offered today is the one I need to recover my old S-Notes as there seems to be multiple versions of the original because I don’t see the same S-Note Icon that I had with my Note 2 ? Also, I didn’t think my old phone had backed up my data but, it did restore/xfer pretty much all of my apps, so I guess it was backed up, though not all of my contacts were & some contacts were rearranged last name first. Non S-Note related but why would all my contacts not xfer like I had them listed? S Note app had changed a lot since Note 2.Samsung stopped the new development for it a few years ago. Samsung Notes is its successor (with less features). You can still install S Note app in Galaxy Apps. But whether you can restore your notes depends whether you actually backed up them. If there are backups, both Samsung Notes and S Note can restore them. How did you make the transfer? How can I change the parameters inside of the Note 4 so that when I print, the image fits the dimensions of 8.5×11 Legal document paper for orinting? Where did you back up to? to Samsung account or Evernote account? The safest place to keep back up is your PC! Did you try to enable sync in S Note settings? I don’t think there is an option to sync S Notes to Google account. I have an original note 10.1 and use s note a lot, recently bought a note 4 but the notes are not sincronizing trught samsung account, as they did with my old note 2. First, if you use S Note often, don’t forget to back up them regularly. Don’t rely on Samsung’s services. They are not good at this. Did you check the sync status? You can manually trick the sync and monitor the status. I have a Note 5 and a new Android tablet. I use S Note for over 1,500 medical charts. How do I best back these up. I sync to Samsung. But cannot retrieve from Samsung. It’s awful. If I switch to sync with Evernote, it says I lose old files. What do I do. Is there a way I can sync to a PC and delete the doubled files which there are hundreds. And how can I best store all my S Note files SPD files. They’re all over the place. Is there a way to build a master file then import them back into my phone? It is best to back up them to your PC with SamrtSwitch for PC. Samsung cloud is not fully functional in Note 5. It will be part of Samsung’s Nougat update, as I know. So, do NOT rely on back up to Samsung account right now. If the S Notes are important, always, back up them to your PC NOW! AND, am i exporting the files OFF my phone (note 5) or just making a exported copy? in the past, when i export s-note, i get old files for some reason?? i cleaned up all my files. renamed, dated, added cover pictures to every file. how do i preserve all this onto my PC or MAC even?!? You can back up the phone to the PC with SmartSwitch for PC. You can select items to be backed up. In your case, you can choose S Note only. Not sure what old files on your PC you are referring to. I just did the most recent update on my S5 (marshmallow) and now I can’t get S Note to open – it immediately closes before it ever comes up. Seems like I had this problem before, but I don’t remember what I did. Already tried clearing and wiping the cache, but neither worked. Please help! You need update s note app. 1. We are expanding supporting models in Play Store. We will support incompatible models as soon as possible. I don’t know how to synchronize, but otherwise I guess you just have to wait for them to come up with a compatible version? When and how did you get the message? I went to the app under Google Play Store. It said updated and then gave the other information that I posted previously. Are you referring to S Note app? Did you check it in Galaxy apps? Google Play to update, but it is updated. Yes, the S Note app in Google Play. Where do I go to find it under Galaxy apps? In Galaxy apps, you can also find s note app. But the version is identical to that in play store. Not sure about the error if you already updated Google play services. 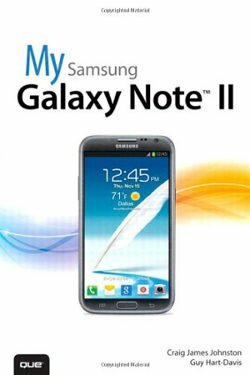 i was dumb and dead drunk when i changed the password of a very important file in my s-note of samsung note 3.
i have tried ways to recover the file and/or the password..inclusive of being re-drunk..and continuous dumb..
are there any other briliant way i could recover this one particular important s-note. Backup the S note files. You can then change the extension to zip, and use some password cracking programs for zip files on your PC. If the length is short, you may get it quickly. If it’s too long or too complicated, it may be impractical for any tools. Does a factory reset erase notes? Yes, factory data reset will erase all your data, including S notes in phone storage. You should back up them before resetting the phone. Actually, you should backup them regularly. Hello, when importing pictures into s-note I clicked via google drive but then accidentally clicked ‘always’ instead of just once. Now I can’t import pictures from any other location. Do you know how to reset this please? I’ve tried settings -applications-s note-reset defaults but its not highlighted as an option. I love s note so hope this is fixable! You should check Settings– Application manager– Drive. I have renamed a note with another note name so the new one was replaced by the old one. Is there any way to step back and have both notes? No, as I know. There are no undo option for file operations. is there any way I could recover my deleted s notes or maybe a way to secure the rest of the page while I’m typing? ?? When I delete it does it completely disappear from my device ? Android doesn’t have a recycle bin as Windows. Once a file is deleted, it’s deleted. You have to rely on data recovery services if you desperately need them back. Such services are usually expensiveb without guarantee. Backup, backup and backup, if there are anything important. It’s strange that you never backup your notes. Upgraded from Note 2 to Note 5, I had approximately 100 notes organized into a dozen folders,when I opened S Note it would show my folders. On Note 5 when I open S Note it shows “all notes” by default, I have to select a “category” to see the notes in an individual folder. Is there a arty way to get a “category”view by default instead of the “all notes” view? No, I don’t think Galaxy Note 5 offer this option for the S Note. It seems the developer has no idea what are the useful features to keep because a lot of very useful features were added, then removed over versions. i guess the developers are not using S Note heavily. That’s the common problem of almost all Samsung apps. When iNote comes, Samsung will know how to do it correctly. Simon, please help. I accidentally deleted my S-Note files from my Samsung Galaxy Note 10.1. It’s very hard to recover files after deleted. The good practice is to backup and sync your notes. If they are extremely important, you should check with local data recovery services providers. In most regions, you cannot disable or uninstall s note app. Some TouchWiz features are hooked to S Note app. When I create a new S Note on my Galaxy Note 4 it shows up as a blank page on my Galaxy Tab Pro. Is this because the Note 4 and the tabelt have different pen options available? Probably due to the different S Note version. When you read the S Note file in Tab pro, you can try to choose import to see whether it helps. I went from S5 to Note 4. All of my notes synced except for one password protected note. How do I recover it? Remove the password for that S Note, save it as a new S Note, then sync to Note 4. I turned in my old phone, so the store has it. What other options would I have? It’s been some years, you probably forgot about this, but was there a solution? when samsung turns out an s-note update. i mean ummmm,,,,do they ever? do these updates run across the board on all devices? sounds like NOT. There is no universal s note app. There are several variations currently. Samsung developers failed to keep it consistent. Hi. I have a Samsung Galaxy Note 10.1 2014 edition. Using S Note I never had necessity to change the paper size. However, three days ago, my professor bought one identical the mine, and the paper size came very smaller. I would like to know how I change the paper size for him. Ps. Sorry by the english. You may backup s notes on the tablet, then go to settings – application manager- s note, tap clear cache and tap cleat data. After this try to create a new note. query…can exported files(i will probably export in pdf) be easily imported by any s-note(diary) in any samsung device and read exactly the same way. i just saw the s-note in the 4 and it’s way different than my 8. i would think there’d be issues about being formatted correctly if say i transferred notes across devices. kind of important if i have a different device handy at the time…yes? If you import pdf files to s note, a lot of formattings will be lost. Similarly, when you export s note to pdf, you also lose some formattings. Pdf is de facto standard and you can use any pdf reader to open a pdf file. But s note is complicated. Samsung fragmented it’s own app. New version can convert files created in old versions with some (minor) loss in formatting. But old version s note app has no way to open new format. This is normal and usually referred as backward compatibility. But Samsung apparently failed to update the old s note app to the latest version in most recent updates. It’s a shame for developers in Samsung. So it’s a pain to sync s notes if you have more than two or more note devices that are not in the same generation. So, try to finish individual notes in each device. To make it safe, backup the notes and backup the pdf or image versions of the notes as well. S note is good for note taking if you try the s pen for a few days. Some designers also like it. For diary with photos, illustrations and handwritings, s note is still probably the best app. The main problem is the version of s note app is not consistent if you have different generations of note devices. Is there still a note survival guide being released? There are 100s of forums, chats, small talk scattered throughout various Android sites asking a fair amount of questions. In short term, we are adding some short S Note guides in how-to guides section for Note 4.. Thanks for the info. Note 8 is a bit weird anyway. can ALL snote entries be exported as a universal file of some kind, like maybe pdf, so that they will retain their format. Yes, you can select all S Notes (in All view), then tap menu, tap Export. Choose PDF. Please note, Each note will be exported as individual PDF file with the same name as the Note itself. P.S. I don’t want to use screen recorder (skeptical about rooting my phone). As I know, there is no tool to export spd file (with sketch recording) to a video. For snb (the old format), I remember someone released a small proof-of-concept tool to do it. But in spd file, the sketch recording is no longer saved as an individual xml file in media folder (SPD file actually is just a zip archive). So, the tool should not work any more, to my knowledge. You may try to find a good screen recorder on your PC or on Note device. I really don’t know any other solutions. Help I have been writing a diary of my travels in Africa and now on my last week my s note has corrupted! WhenI try to open the diary it says ‘error occured’ I can open other note files but not my diary I have written. How can I get to view it please? you can try to reboot the phone, then try again. if the file is corrupted, S Note cannot fix it. You can copy the S Note file to a PC, rename it as a .zip file. Then use 7zip yo unzip it. If you are lucky, you may recover some media files. I have a locked note that I cannot get into. I have tried syncing them to evernote however evernote is not bringing up any of my notes. Please help, I have been trying to get into this note for months! Locked means password protected. You need the password. Sync to Evernote to skip password only works on very old version of s note. You may try to copy the s note file to the pc, rename it as .zip and use some cracking tools to get the password. If the password is long, it may take very long time. I have been looking for several days to find a way to create folders within the s note application. I have the Samsung Galaxy Note 10.1 2014 edition. I have written several notes, but cannot find a way to organize them. Can I create folders in the application and save the different notes there? Another possibility is to just use a different page instead of a different note. I would need to go back to all the notes I had made and combine them, but I can’t find a way to do that quickly. Can you help me? It is easy to create folders to organize your S Notes. Using folders is the recommended way to manage S Notes. Open S Note app (assuming you are using Note 3), you are in Recent Notes view by default. Tap the Recent Notes (top left, with a Home icon). You are then in All notes view. Tap the hardware menu key (left to home button), you can then find the Create folder option. Once the folder is created, you can move existing Notes to this folder by tapping the menu key–Move in the All notes view. You can also open the folder to create new S Notes to this folder directly. Actually, you can also use any file manager (e.g., the pre-installed My Files) to manually create folders in the SNotedata folder, and manually move the S Note files (SPD) to this folder. 1). create a new S Note, 2)open the new S note; 3). tap menu key-edit pages; 4). tap “copy pages from other Notes” in the bottom of the page; 5)select the S note and pages 6)tap done; 7) repeat the process from step 4. I have several hours of recorded voice files saved in my S note, along with hand written ones in the same file. Is there a way that I can convert the audio files into text files? I would rather not sit and type everything out from the audio files, but I need these notes. Any help is appreciated! 1. Backup, backup and backup your S Notes. 2. copy the S Note files to your PC. The S Notes are saved under sdcard0/SNoteData (Note 3, Note Pro, Note 10.1 2014 edition) OR sdcard0/S Note. 4. right click any S Note file, click 7-zip, click extract to “XXXX\” (XXXX is the file name). 5, in the XXXX folder, under Attach folder, you can find the audio files. Please let me know whether it works. I am actually preparing a video tutorial for this. I would appreciate it if you can feedback any problems with this method. I am a teacher who is having students take class notes on the note 10.1 2014. Right now the best way I have found for fast and easy sharing of notes is for them to share as an image file to google + (I have class Note 10.1 linked to a class google + account that the students share). But this is limited to visual content. Is there a way to port an snote to a website with a click (and not send as a file attachment)? Right now the google + account is fed to a class website. Alternatively – is there a way to get snote to modify a google doc directly? I cannot seem to find a way to do this, but If I could get snote’s shared as images(or better yet full featured note files) directly into slides in a google presentation, I would be dancing! Can you help my student’s and I dance? Thanks! Unfortunately, there are no apps that can solve your problem. For exporting the S Note to a website, it depends on the scripts used in the site. Currently, S Note can only share to WordPress powered site. It can insert the image and crate a new post. This requires WordPress for Android app in the tablet and the site must be powered by WordPress. For the integration between Google docs or slides aand S Note, I heard nothing about this. You probably still have to export as image, then manually import them into Google slides or Google docs. I locked a file in my s note app I forgot the password do anybody know how I can reset the password so I can open that file? You may try to sync S Note with Evernote, rename the note, then copy back to your device. This works only on some phone models. I would like to know how to recover the password from the saved file in s note? Me gustaría saber cómo recuperar la contraseña desde el archivo guardado en el s nota? Eu gostaria de saber como recupero a senha do arquivo salvo no s note? There are no official ways to recover the password. But you can try to sync the note with Evernote. Then copy the note from Evernote to another device. If you only have one device, you can try to rename it in Evernote, then copy back to the device. I have samsung galaxy note with me. when i purchased it, its camera was auto rotating all four directions. but after sometime i `reset factory setting` the phone. since then my camera`s auto rotate is working in left right and upside down direction but not in straight vertical direction.Please provide a solution. Did you set the screen rotation to 4 directions? By default, in the old Note, it’s 2 directions depending on the Android version. The battery of my note 8, just bought, lasts only 3 hours… I don’t know what to do, I did not install any apps and everything, but wifi, is deselected. The brightness of the screen is quite low… do you have any advice please? You need check which app drains the battery on the battery usage info page. Sometimes, you can try to reboot /restart the galaxy note 8 to see whether the problem persists. Rotation problem.. auto rotate. In 3row.. When camera i using. Auto rotate in 3 row.But not . portrait.. means. .strait. I did not get your points. Anyway, did you try to reboot the phone to see whether it helps? Hello.. sir.. when to come 4.2.2 jb update in my galaxy note 1 n7000.. Very likely, Note N7000 will stop at Jelly Bean 4.1. Why. Sir.. plz give me ..
How do I delete a memo on my Galaxy note 8? When I detach my S-pen and a box pops up on the screen it gives me the option of writing a new memo or I can choose from a list of old memos… How can I delete my old memos that I’ve written? When I tried a message came up saying, “after deleting all pages one new page will be added” but I don’t want a new page to be added, I just want it deleted. How can I do this? You can open S Note app and delete the memos. , download all my files, export them to PDF format and then import them to s note. If I delete the files From the hard drive will the imported file delete off s note? No, the files are independent. Once the file is imported or exported, the changes will not affect the imported or exported file, and vice versa. I want a manual for my samsun galaxy note one I can read , can’read the brown small one that comes with it. The item cost me $400.00 and should come with a user guide you can read. Where can I buy one? Nowadays, most vendors do not provide hard copy of user manuals. And most functions can NOT be found in user manual as well. You can always request a soft copy of the user manual from the local Samsung Service centre, then print it a t home or some printing shops. Wish the new eraser wasn’t stupid. What’s wrong with a pixel-for-pixel eraser? I hate that it erases whole areas. You can tap the eraser until the setup box for eraser pops out. You can then change the size of the eraser. I agree, Even when I don’t have the ‘erase line by line’ checked, it removes whole chunks. This is notanything to do with the size of the eraser . Help I have a file saved on s note and it won’t open. All the others work fine. Tjis one just showd blank screen then it quickly closes how do I retrieve data on s note.